Mangroves with few leaves and long roots submerged in water. 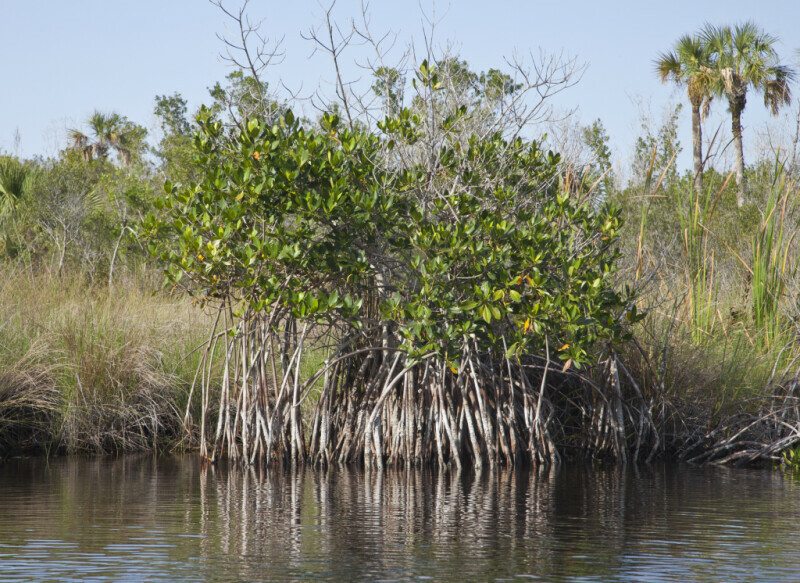 Grass and palm trees can be seen behind the mangroves. This photo was taken at halfway creek in Everglades National Park.